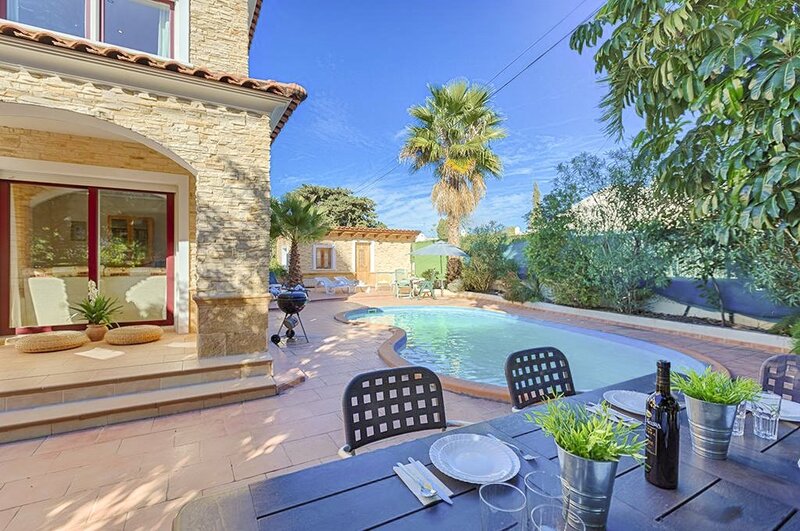 Villa Eneida enjoys a magnificent location, only one kilometre from a wonderful beach, shops, bars and restaurants. 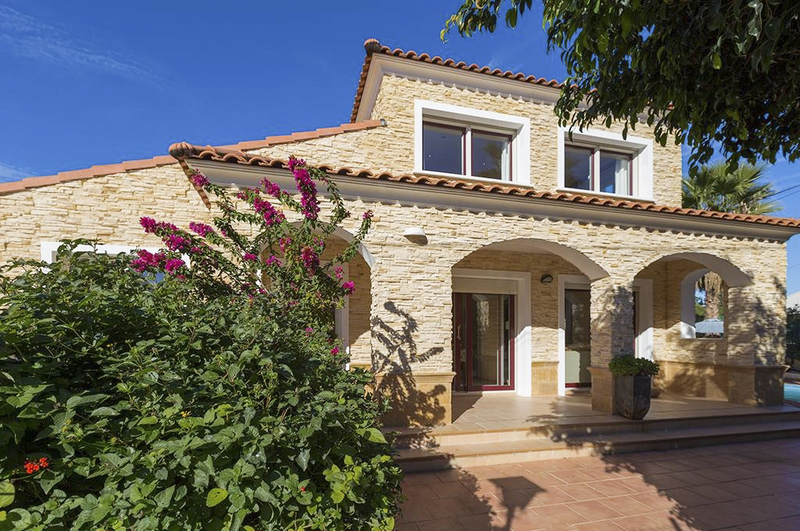 This very attractive stone-built private villa and pool is found in a residential area in the hills above Calpe. 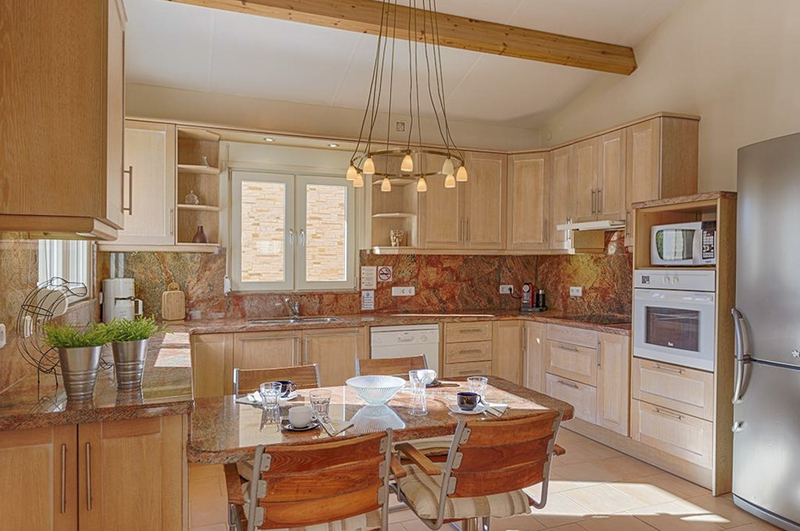 With four double bedrooms and two bathrooms, Villa Eneida accommodates eight guests easily and in style. 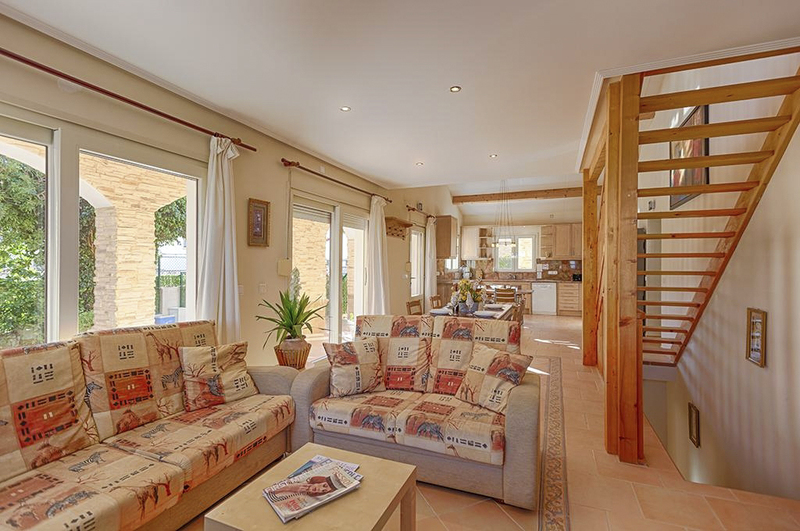 Your ground floor consists of a large open-plan kitchen, lounge and dining room. 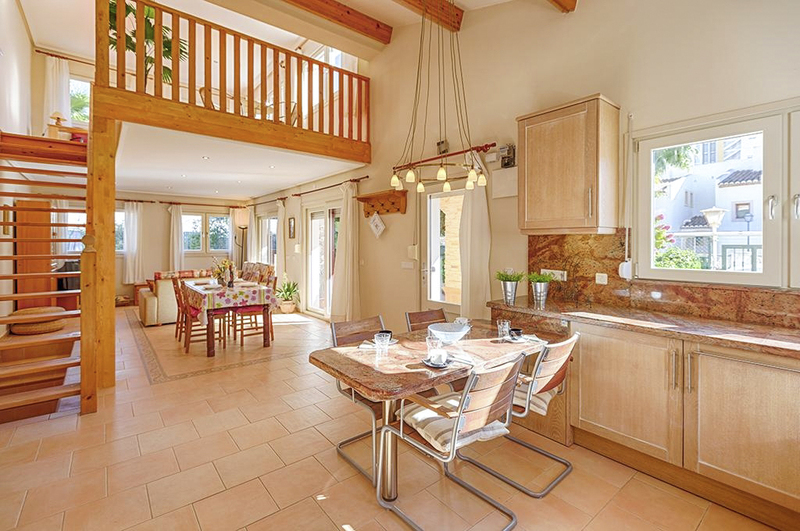 Its décor is uplifting and colourful and as soon as you walk in, you’ll notice the numerous windows, flooding this lovely space with light. 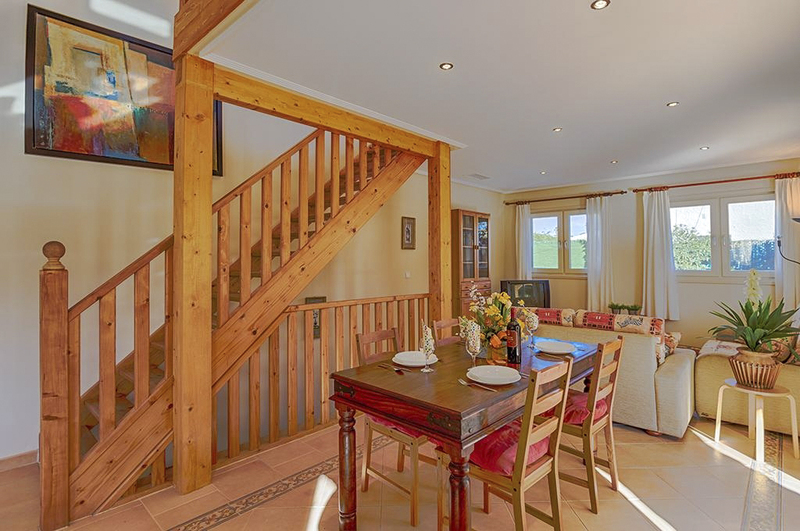 Go downstairs and the bedrooms and bathrooms on the lower floor. 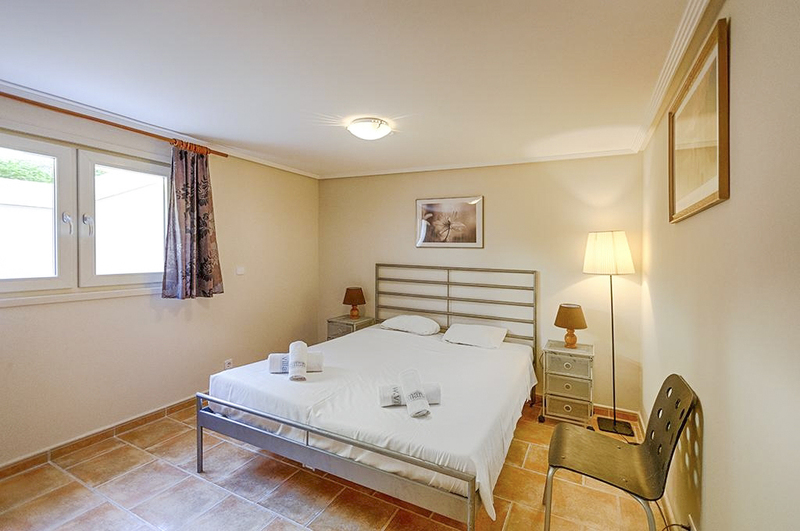 There are four double rooms, all with cooling white walls and terracotta tiled floors. 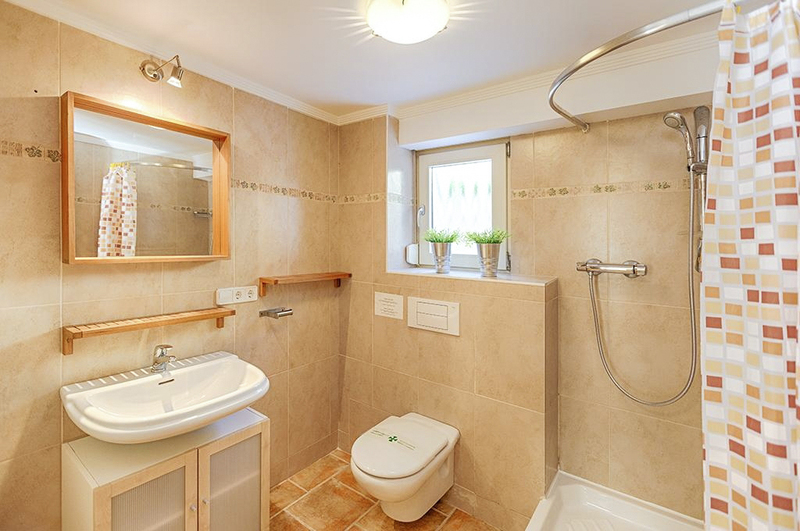 Both bathrooms have a shower and a modern, fresh feel. There is also a mezzanine level accessible from the ground floor. 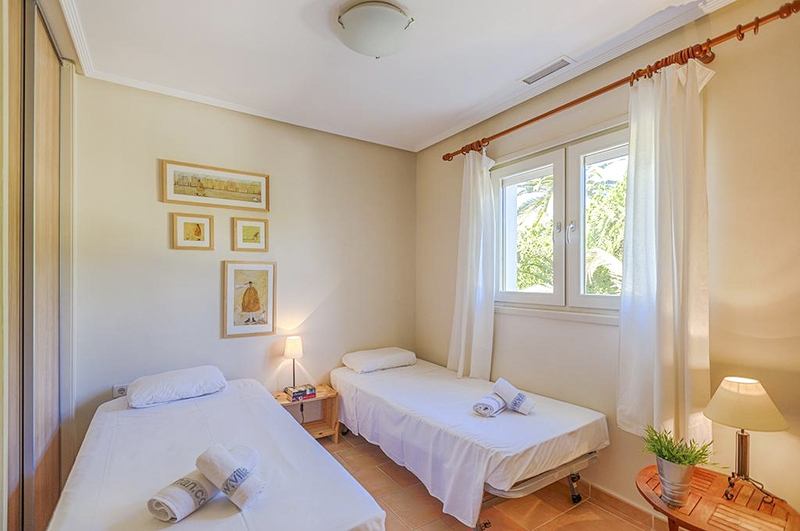 From here you have the most wonderful views of the Rock of Ifach, the glistening Mediterranean Sea and the lush greenery surrounding Villa Eneida. Step outside and you’ll discover your covered terrace, running along the entire length of the villa. Supported by distinctive stone archways, this wonderful shaded space is where you can dine, read and just relax al fresco. Beyond the house lies your pool terrace, bedecked with dining table and chairs, sun loungers, umbrellas and barbecue. Pass long, hot afternoons beside your private pool, taking a dip in the irresistible water to cool off or splash about with the family. This beautiful, peaceful terrace is surrounded by palm trees and Mediterranean plants, providing privacy and welcome shade. Embrace the outdoor lifestyle to the full and enjoy breakfast, lunch and dinner pool-side or on your covered terrace. 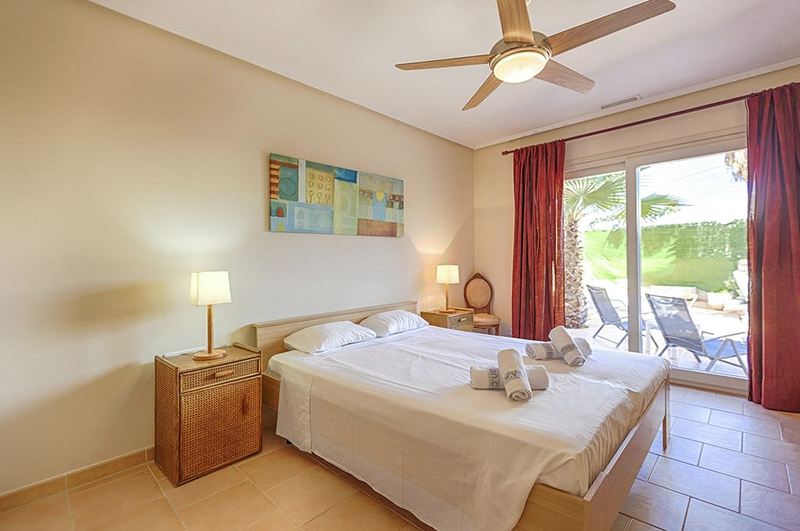 Beyond Villa Eneida, you’re wonderfully close to Playa de Levante la Fossa; a broad sandy beach with crystal clear sea and plenty of beach-side entertainment. 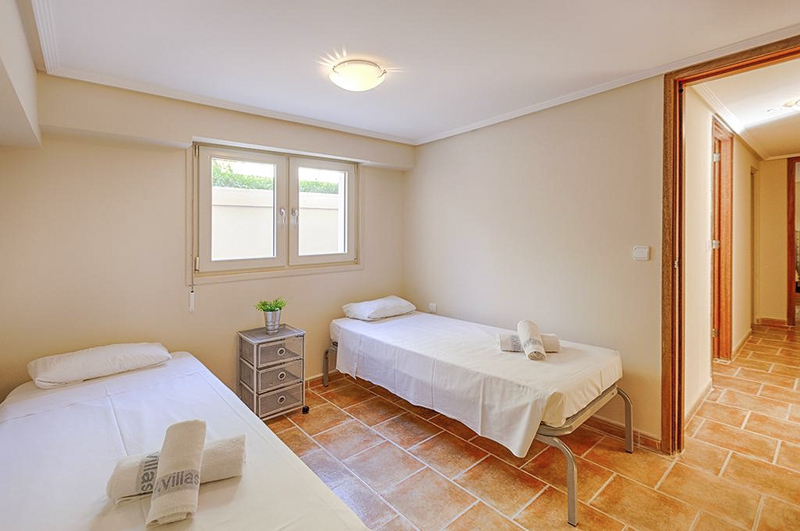 The vibrant town of Calpe is on your doorstep. Clichéd as this may sound, there really is something for everyone here. Fascinating historical ruins, nature reserves, shops, seafood restaurants and a marina. 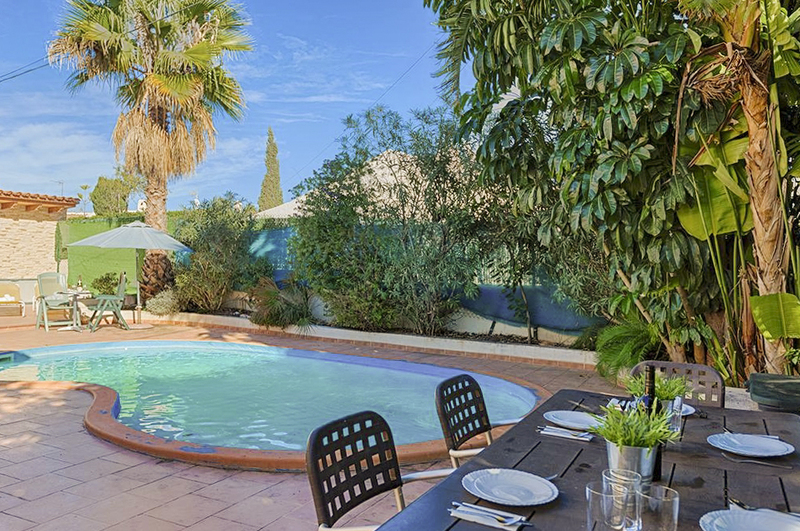 This private villa and pool are just one kilometre from Calpe’s beaches and tourist attractions. Playa de Levante la Fossa is golden, sandy and the sea is just perfect for swimming in. Between you and the promenade, there are beach-side tapas bars and restaurants selling everything you need. Looming over you, is Penon de Ifach; a regional and national landmark. This towering lump of rock is protected within a nature reserve and can be seen for miles up along Costa Blanca’s shoreline. It is possible to reach the top but only experienced climbers are advised to try it. 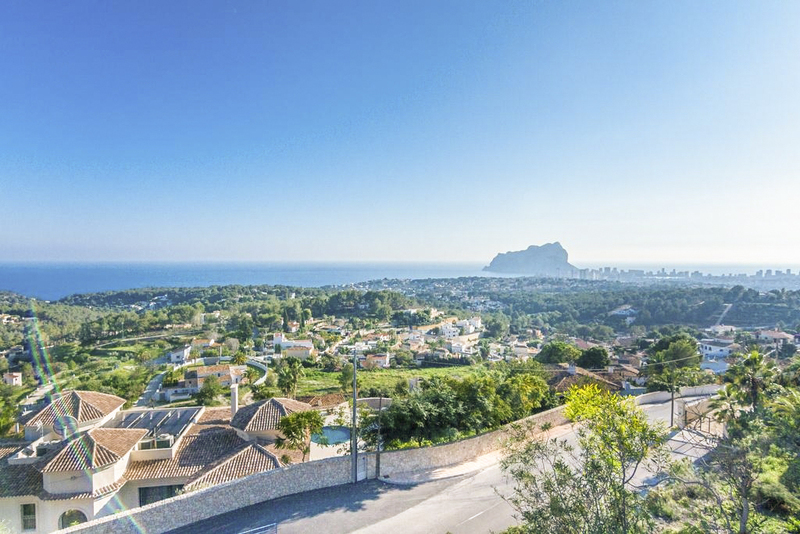 Calpe’s history stretches back beyond the Romans, and across the town, you’ll find ruins and relics relating to the Iberians, Romans, Moors and even raiding pirates. Happily living alongside the old quarters, are the modern shopping streets, restaurants and bars. The marina bustles with nautical activity and you can try your hand at many different water sports here. If you stay for lunch or dinner, look out for Calpe’s local rice and fish dishes, and try a glass of Jalon, the regionally produced wine. For those of you with a sweet tooth, almonds grow throughout this area, so soft chewy nougat is sold everywhere. Delicious! Golfers are spoilt for choice from Villa Eneida. Don Cayo is fifteen minutes north, San Jaime is twenty minutes south and La Sella is about half an hour’s drive on the motorway. All are excellent courses. 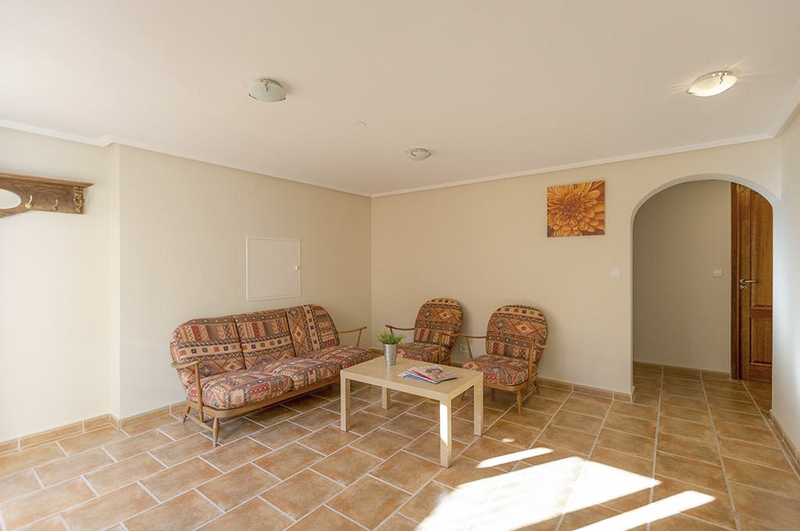 If you’re feeling sporty but want to stay closer to home, you can play tennis within five kilometres or simply head off on a hiking trail virtually from your door and explore the picturesque scenery around Villa Eneida. If you’re lucky, you’ll detect the scent of orange blossom carried by the sea breeze.